This affordable International Colony Club Cottage is across the street from Kaanapali Beach State Park and is adjacent to Kaanapali Golf Course. Many great beaches, golf courses, restaurants, and shopping to choose. Lovely 1300 sq ft cottage located on 10 tropical acres. Great place to relax after a fun day on Maui. Enjoy the beautiful sunsets from the private lanai. No Smoking Inside. Great place for couples, families, honeymooners, or anyone wanting to get away. Beautiful views of the ocean from the lanai, dining room, kitchen, and bathroom. All bed linens, bath towels, and kitchen towels included. Beach towels also included. Fully equipped kitchen with granite counter tops, new appliances, and everything to make you feel at home. DVD, CD, Beach Towels, Beach Chairs, Beach Toys, Boogie Boards, 2 Private Pools, Close to Shopping & Restaurants, NON SMOKING COTTAGE, Smoking permitted on the lanai. Very clean & quite, Would like to have stayed longer. Cottage was very comfortable and clean. We would stay again. We loved the location. We had a great time between New Year's and mid-January 2019 at this property. The pictures do not do it justice. Located in beautiful Ka'anapali, and very near Napili and Lahaina, this was an ideal location, and the site is beautifully maintained. We were shocked at the beauty of the gardens, pool, and the property itself, which is well maintained. Thanks for letting us stay and enjoy the site, aloha! Everything we needed, nothing we did not! Cottage was a perfect getaway for the end of our maternity leave. Peaceful and soothing. The view of the sunsets was amazing. The pool was delightful and also had a lovely view. We took a short <5 min drive to the beach near black rock every morning and enjoyed quick jaunts into Lahaina and north to Napili. Jennifer the owner was incredibly responsive. Our family of four hopes to stay again. Mahalo! 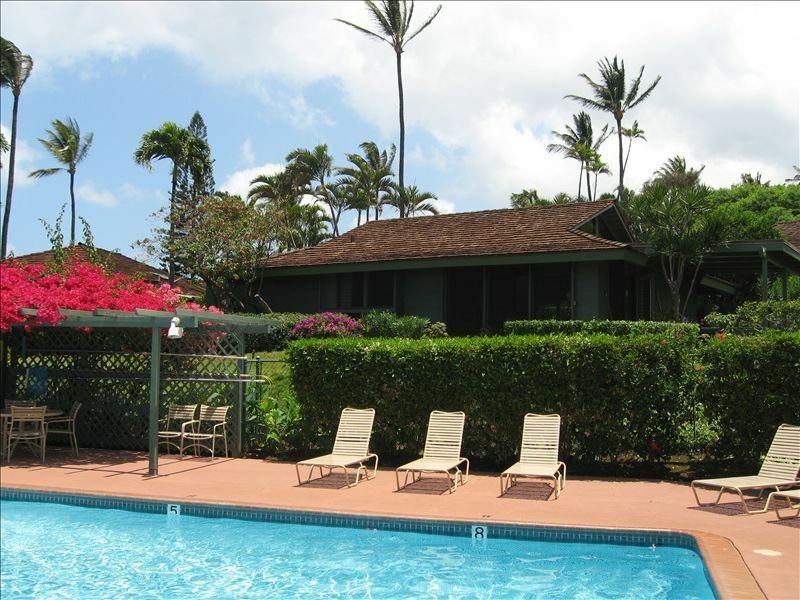 Maui has alot to offer and this cottage is in a convenient location for almost anything. It's also a great place to just kick back and relax. This is the perfect vacation rental for you. You will feel right at home.